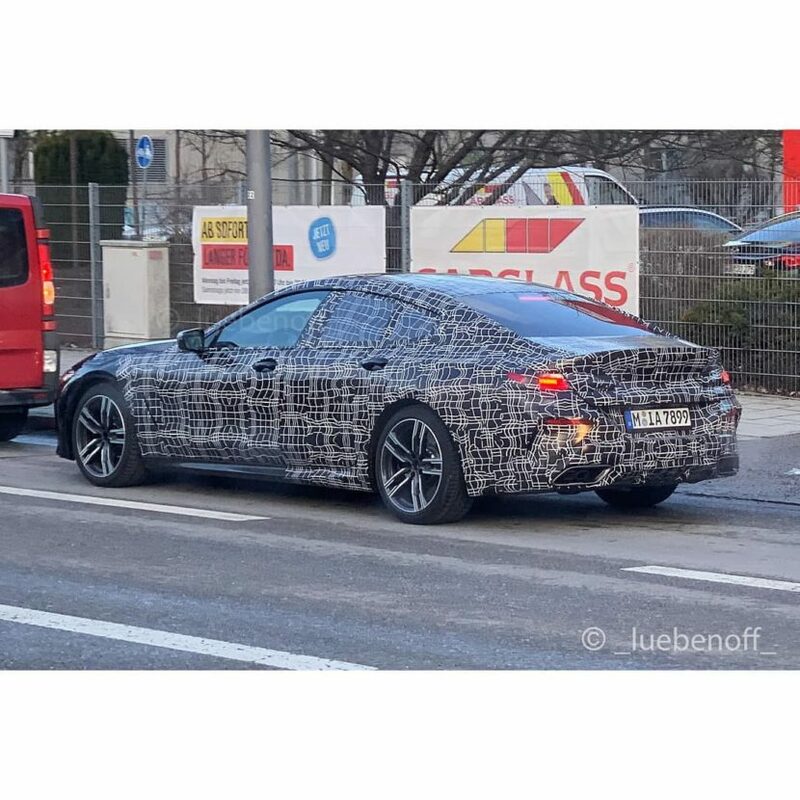 The car in question seems to be the BMW M850i variant, thanks to its sportier wheels, aggressive front air intakes and its trapezoidal exhausts. It also seems to be wearing BMW’s Sonic Speed Blue paint, previously seen on the M850i Coupe. Mechanically, the BMW M850i Gran Coupe will be identical to the Coupe. So it will get the same 4.4 liter twin-turbocharged V8, making 523 hp and 553 lb-ft of torque. It will also get the same automatic gearbox and all-wheel drive system. So expect 0-60 mph in the mid three-second range. Though, many enthusiasts will find that the Gran Coupe version looks better. It’s long, low, four-door body style is very seductive and charms in the same way that the 6 Series Gran Coupe did. While its overall styling isn’t that much different from the coupe on which it’s based, the GC model does have a flair of its own. Personally, I prefer the M850i Gran Coupe to the standard two-door Coupe, but it’s hard to go wrong with either. 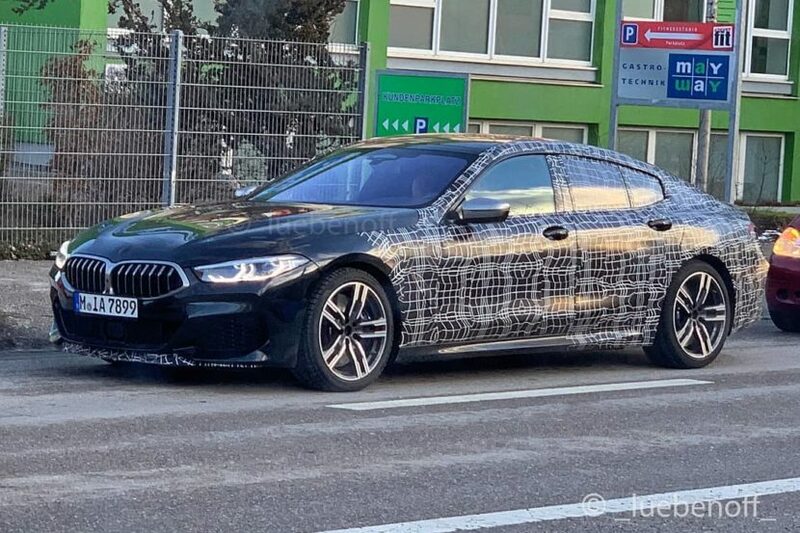 We can’t wait for the 8 Series Gran Coupe to be revealed. While we doubt it will drive much different than the Coupe version, we still can’t wait to get our hands on it.